AMMONNEWS - Egyptian troops and security forces have killed at least 52 suspected militants in recent days, the army said in a statement on Sunday, as authorities push ahead with an operation to crush ISIS. The deaths brings to more than 300 the number of suspected Islamist militants killed in the operation that the Egyptian army, backed by police and other security forces, launched in February as part of a campaign to eradicate insurgents behind a wave of violence in the desert region. 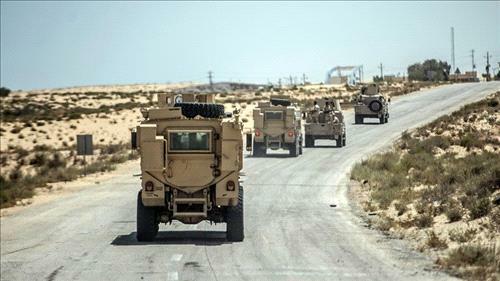 In Sinai, the statement said that 13 “extremely dangerous takfiris” were killed in an operation by security forces in the city of al-Arish, the capital of North Sinai province. Egypt uses the term takfiri to refer to extremist militants who often accuse their victims of being infidels. The remaining 39 militants were killed in various military operations across northern and central Sinai, the military statement said, without giving any breakdown. The deaths have raised to at least 313 suspected militants, according to a Reuters count based on military statements. At least 35 military personnel have also been killed since February, according to a Reuters count based on military statements. Defeating extremists and restoring security after years of unrest has been a promise of Sisi, who was re-elected in March in a landslide victory against no real opposition. Sisi’s critics say his presidency has brought a harsh crackdown on dissent, but supporters say such measures are needed to stabilize Egypt, which was rocked by years of unrest after protests toppled veteran leader Hosni Mubarak in 2011.